England Sevens coach Simon Amor has said he will try to build on the work Ben Ryan has done in the role and will look to evolution rather than revolution. Under Ryan, the short form of the game turned professional in England and he instigated a system which saw a selection of players centrally contracted. However, the IRB World Series title proved elusive and Ryan left his role in charge of the team back in August. The RFU turned to ex-IRB World Sevens Player of the Year Amor to take on the reins and he will barely have had to time to settle in the job before taking England to the first leg of the 2013-14 IRB Sevens Series on the Gold Cost on October 12. And Amor admits he will make some changes to the set-up Ryan brought in, but he will also introduce some of his own thoughts. "Everyone has to recognise the landscape that Ben was working within," Amor told ESPN. "What he has put in place are clear foundations. Of course, any coach that comes in will want to change some aspects. That's the nature of sport and any club. "There are some things I would like to change and will be changing but it's a case of the time-frame and how quickly are group can adapt to that and get the success we all want. "There's no set goal for the season as it's difficult to do that until you've got your legs under the table, so to speak. It's important whatever happens, that we make a big step in terms of trying to improve. There were challenging times last year, but it's important to recognise that this group is not broken. "They did well to finish second in the World Cup and matters like injuries will always hit you, but it's about how you come back and cope with setbacks. It's about evolution and step forwards with this group, rather than starting from scratch. "We're up against it time wise as the Gold Coast Sevens is around the corner and Dubai not too far after that. I'm yet to really get involved with the group, but all the signs are positive and most of all, they are a talented group and good people." Central to Amor's vision for England is establishing close relationships between the clubs and the Sevens programme. Players such as Ben Foden, Christian Wade, Ben Youngs and Matt Banahan went from England recognition in Sevens to the full Test side and bringing these sorts of players through is one goal for Amor. Amor played top level rugby for London Irish, Gloucester and London Wasps and coached London Scottish between 2010 and 2013. It is this sort of experience he will utilise and bring to his role in charge of the Sevens side. 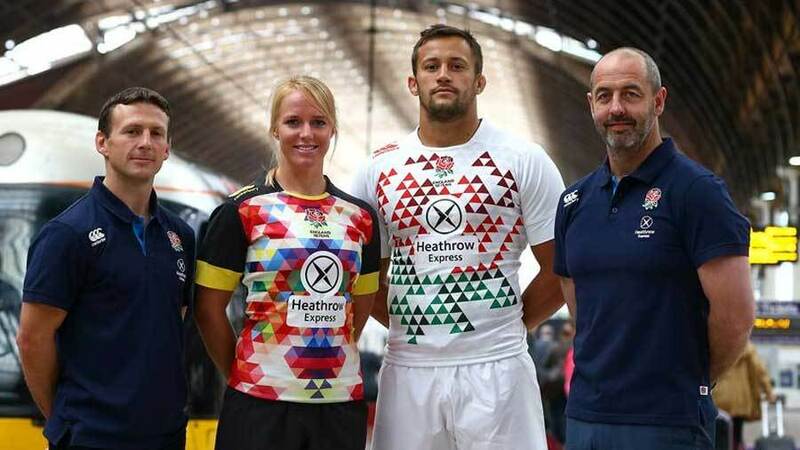 "It's very important in this role for England Sevens to understand the different relationships and other people's point of view," Amor added. "We will put the player's development at the very centre of our thoughts, that's key.But relationships with the different stakeholders are also important. "When I was at London Scottish, one of the key parts of what we did there was the dual registration of players at Harlequins and London Wasps. There was a continual flow of conversation going forward and back and if we do the same with England and the clubs then the two parties can be successful and more importantly, the players can be as well."